Anyone who has studied martial arts knows that�even if you like it a lot�you should keep your day job. On the other hand some people actually make it in the arts and some people use their arts as springboards for offshoots which, frankly, are often more socially understandable and more lucrative. Billy Blanks was certainly not the first practitioner to develop a “martial arts based” approach with Taebo. There was also George Leonard’s “Mastery” book and seminars. Joseph Pilates developed some of his ideas from martial arts. There are also a number of, shall we say, more “quacky” types who share their questionable insights. Here’s an early book by a decidedly un-quacky man, Moshe Pinchas Feldenkrais, who became quite famous� for his “method”, an intriguing and sophisticated approach to doing simple actions in daily life. MF was born in the Ukraine in 1904. A restless intellectual spirit, he made a living as a tutor until becoming a cartographer for the British survey. After studying Jujitsu he taught Jewish defense groups. During this period he hurt his knee at soccer, an event that would concentrate his attention on body movement for a many years. Feldenkrais also wrote a number of interesting books in his career including� “Autosuggestion” by Charle Brooks (which he translated and expanded), his own Jujitsu self defense books, Practical Unarmed Combat, Judo, Higher Judo, Body and Mature Behavior, The Case of Nora, The Elusive Obvious and others. In 1933 he met Jigaro Kano and began Judo study, a subject he spent years in training and teaching and with enough intellectual content to encourage MF to make a full scientific study of the principles. With a strongly inquiring and flexible mind, he graduated with specialties in mechanical and electrical engineering. He worked under Frederic Joliot-Curie at the Radium Institute while reading for his doctorate. Next he was at the Acruiel-Cachan labs building a Van de Graaf generator for experiments on� fission. 1n 1939-1940 his work was under Paul Langevin ( a strongly anti-fascist physicist)� on magnetics and ultra-sound. 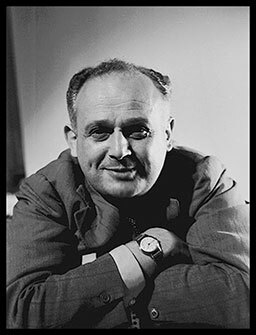 Escaping to England with a bottle of “heavy water” just ahead of the Nazi invasion of France, Feldenkrais began five years study of anti-submarine methods for the Admiralty. During this time he went back to the problems of his knee and started to explore a series of new ideas in body movement. In doing this he incorporated concepts from his beloved Judo, as well as from� Gurdjieff, F. M. Alexander, William Bates and others. This also took him to Switzerland to learn from Heinrich Jacoby. Eventually he moved to Tel Aviv and began exclusively to� earn his living by teaching his “method”. Among his clients was Prime Minister David ben Gurion. Through continual reassessment and application he developed an approach which he introduced to the whole world along with his unique� teaching program. Mark this one in your notebook among the martial artists who made contributions in a related field. Posted May 3, 2010 by Plum Staff. Comments and trackbacks are open. Follow the comments feed. Tagged with: Alexander Approach, Chiropractic, Feldenkrais Method, Judo, Moishe Feldenkrais, Pilates.